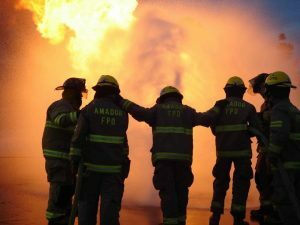 The Amador Fire Protection District, formed in 1990, is responsible for emergency fire, rescue, and medical aid services in approximately 85% of the unincorporated area of Amador County. The District provides this service to the community with volunteer firefighters assigned to seven fire stations and cooperative agreements with other fire departments. In 2008, the voters approved a county-wide sales tax for the purpose of hiring paid personnel to support our dedicated volunteers.